As we do ’em up Dewey style, we might recall that it was on this date in 1991 that the handwritten script of the first half of the original draft of Huckleberry Finn, which included Twain’s own handwritten corrections, was recovered. 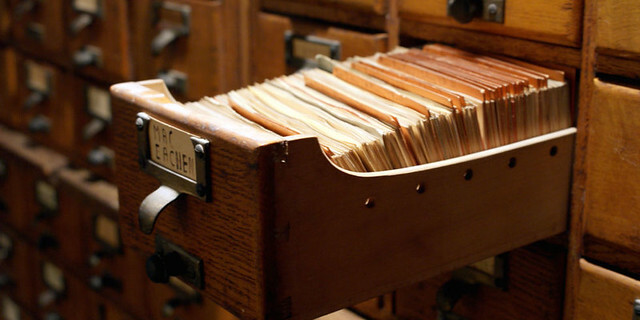 Missing for over a hundred years, it was found by a 62-year old librarian in Los Angeles, who discovered it as sorted through her grandfather’s papers sent to her from upstate New York. 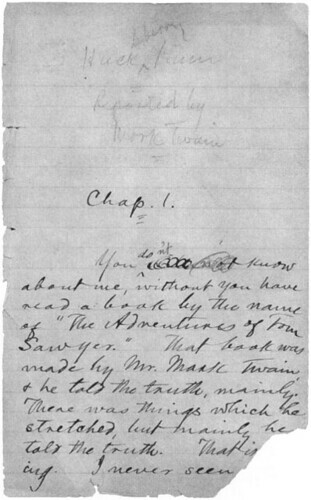 Her grandfather, james Gluck, a Buffalo lawyer and collector of rare books and manuscripts, to whom Twain sent the manuscript in 1887, had requested the manuscript for the town’s library, now called the Buffalo and Erie County Public Library (where the second half of the manuscript has been all along). Gluck apparently took the first half from the library, intending to have it bound, but failed to return it. He died the following year; and the manuscript, which had no library markings, was turned over to his widow by the executors of the estate. She eventually moved to California to be near her daughter, taking the trunk containing the manuscript went with her. It was finally opened by her granddaughter, Barbara Testa. 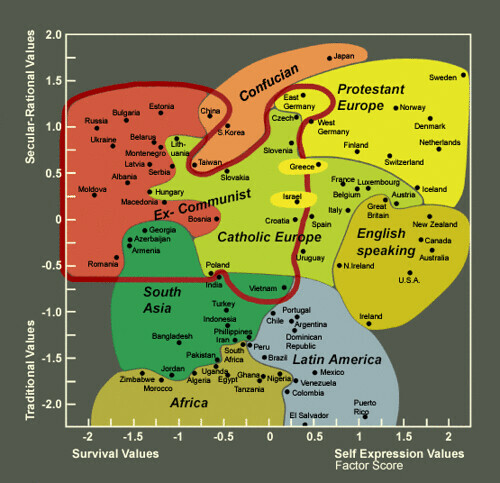 The World Values Surveys were designed to provide a comprehensive measurement of all major areas of human concern, from religion to politics to economic and social life and two dimensions dominate the picture: (1) Traditional/ Secular-rational and (2) Survival/Self-expression values. These two dimensions explain more than 70 percent of the cross-national variance in a factor analysis of ten indicators-and each of these dimensions is strongly correlated with scores of other important orientations. The Traditional/Secular-rational values dimension reflects the contrast between societies in which religion is very important and those in which it is not. A wide range of other orientations are closely linked with this dimension. Societies near the traditional pole emphasize the importance of parent-child ties and deference to authority, along with absolute standards and traditional family values, and reject divorce, abortion, euthanasia, and suicide. These societies have high levels of national pride, and a nationalistic outlook. Societies with secular-rational values have the opposite preferences on all of these topics. The second major dimension of cross-cultural variation is linked with the transition from industrial society to post-industrial societies-which brings a polarization between Survival and Self-expression values. The unprecedented wealth that has accumulated in advanced societies during the past generation means that an increasing share of the population has grown up taking survival for granted. Thus, priorities have shifted from an overwhelming emphasis on economic and physical security toward an increasing emphasis on subjective well-being, self-expression and quality of life. Inglehart and Baker (2000) find evidence that orientations have shifted from Traditional toward Secular-rational values, in almost all industrial societies. But modernization, is not linear-when a society has completed industrialization and starts becoming a knowledge society, it moves in a new direction, from Survival values toward increasing emphasis on Self-expression values. A central component of this emerging dimension involves the polarization between Materialist and Postmaterialist values, reflecting a cultural shift that is emerging among generations who have grown up taking survival for granted. Self-expression values give high priority to environmental protection, tolerance of diversity and rising demands for participation in decision making in economic and political life. These values also reflect mass polarization over tolerance of outgroups, including foreigners, gays and lesbians and gender equality. The shift from survival values to self-expression values also includes a shift in child-rearing values, from emphasis on hard work toward emphasis on imagination and tolerance as important values to teach a child. And it goes with a rising sense of subjective well-being that is conducive to an atmosphere of tolerance, trust and political moderation. 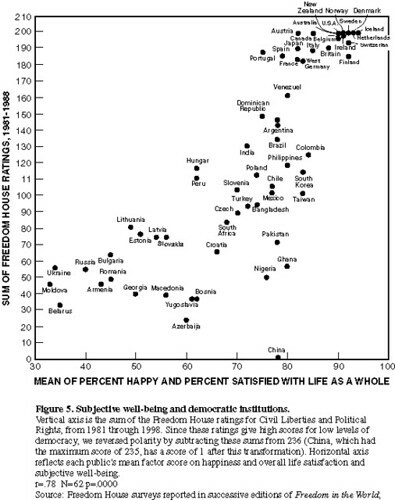 Finally, societies that rank high on self-expression values also tend to rank high on interpersonal trust. This produces a culture of trust and tolerance, in which people place a relatively high value on individual freedom and self-expression, and have activist political orientations. These are precisely the attributes that the political culture literature defines as crucial to democracy. 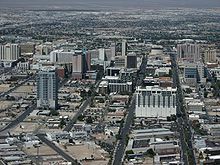 As we wipe away the Dewey and turn from values, we might recall that it was in this date in 1905 that Las Vegas was established as a railroad town, when 110 acres owned by the San Pedro, Los Angeles and Salt Lake Railroad was auctioned off in what is now downtown Las Vegas. Six years later, Las Vegas was formally incorporated.